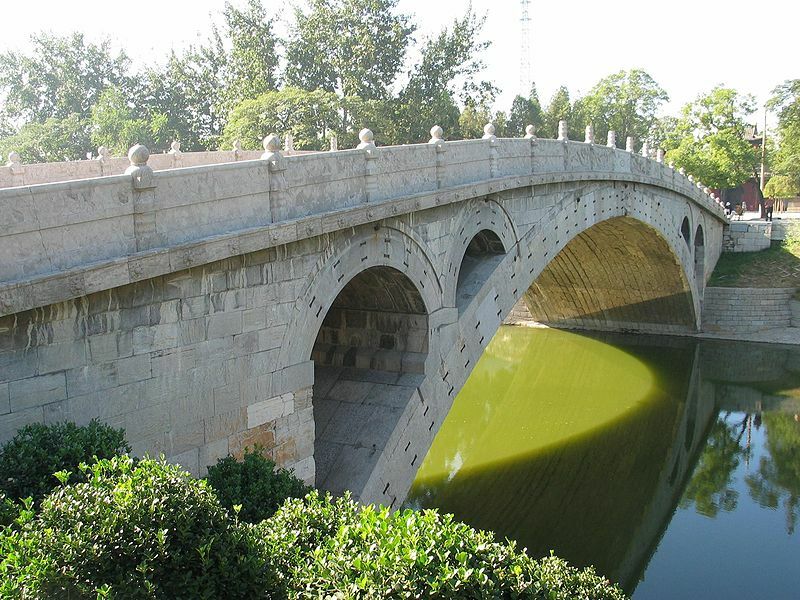 English: The Zhaozhou Bridge was built by the architect Li Chun from 595 to 605 AD, during the Chinese Sui Dynasty. It is the world's oldest fully-stone, open-spandrel, segmental arch bridge. This work has been released into the public domain by its author, Zhao 1974. This applies worldwide. Zhao 1974 grants anyone the right to use this work for any purpose, without any conditions, unless such conditions are required by law.